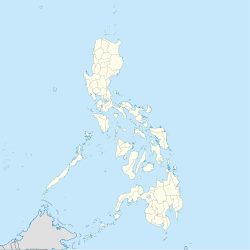 Reina Mercedes, officially the Municipality of Reina Mercedes, is a 4th class municipality in the province of Isabela, Philippines. According to the 2015 census, it has a population of 26,998 people. In the 2015 census, the population of Reina Mercedes, Isabela, was 26,998 people, with a density of 470 inhabitants per square kilometre or 1,200 inhabitants per square mile. ^ "Reina Mercedes, Isabela: Average Temperatures and Rainfall". World Weather Online. Retrieved 31 October 2015.